'Super' lets you share your opinions and pictures just for fun. Twitter co-founder Biz Stone has launched a new app called 'Super' that lets you share your views and pictures with friends as well as on social networking sites like Facebook, Twitter and Flickr. The app is available for both Android and Apple platforms. Super is a colorful app that lets you post pictures using prompts that the app provides, such as The Worst, The Best, and even simply Check Out. Users can post pictures from their gallery, click a new picture or even use one of the pictures that Super offers. Then add your own text to finish the thought, pick a photo and sign it. There's also an interesting 'ANONYMISH' feature. Super team explains the feature: "... you can choose between posting publicly or privately. Maybe something you wouldn’t normally say? Maybe a compliment as a secret admirer? Here’s the catch: Super isn’t designed as an anonymous sharing platform. It’s not engineered to hide your identity! So we use “ish” as a way to convey that, well, people may be able to figure out who said what. Only follow one person and an anonymish Super post winds up in your Friends feed? Guess what? Gotcha. Anonymish is intended to be fun, like the rest of the app. It’s for light-heartedness, not for trolls." 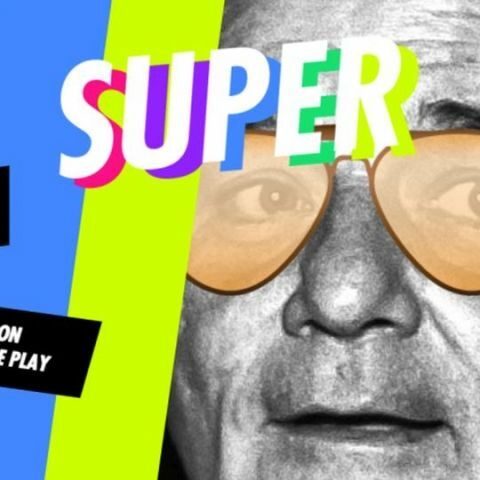 Super is available for free download on Google Play store and Apple app store. need a super zoom dslr canon or nikon? ?